This is www.2d53.co.uk. 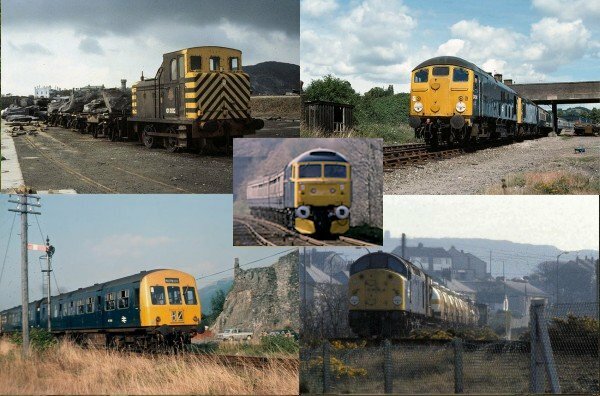 Here you'll find photographs of trains on the North Wales main line railways, taken between 1975 and 1983, together with timetables, signal box locations and extracts from official documents issued between 1960 and 1991. Thanks to all of you who have taken the trouble to send comments - they are much appreciated. 1961 timetable and graphs added for Conwy Valley Line. 2 new pages on the Burry Port and Gwendraeth Valley Railway in the 1980s added to the South Wales page. All images on this site are copyright Dave Plimmer © 2002-2019 and may not be reproduced in any form without prior consent.